The Seco Apache Bullseye 5+ Machine Control Laser Receiver is used as a stand-alone display receiver that is mounted on dozers, graders, scrapers, backhoes, excavators, trenchers, scrapers, and box-blades. This machine mounted laser receiver can work with all red beam rotary lasers on all kinds of grading machinery. Also, it features a versatile 360-degree reception angle, three detection accuracies, and six display channels. The Bullseye 5+ comes with a built-in blade tilt indicator that helps in keeping the blade level for increased accuracy and productivity. This feature can also be programmed to match an existing or known grade for slope matching operations. 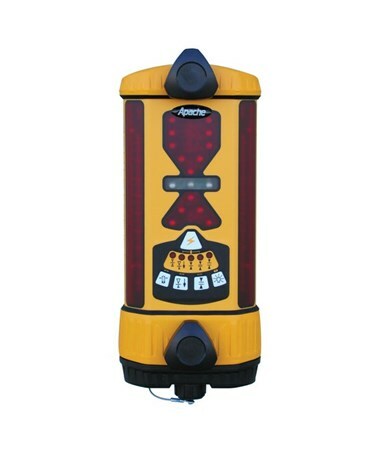 Also, it comes with an integrated plumb indicator for quick and accurate grade checking on excavators and backhoes. For more reliable grading information, this laser receiver includes super bright LED indicators, center on-grade, and an offset on-grade. The Seco machine control laser receiver has a 6.75-inch capture height that allows a hassle-free grading experience. To save battery, it features an auto shut-off function. 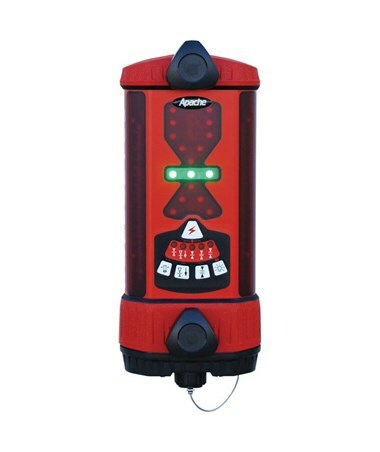 This machine control laser receiver uses powerful batteries that operate up to 60 hours. 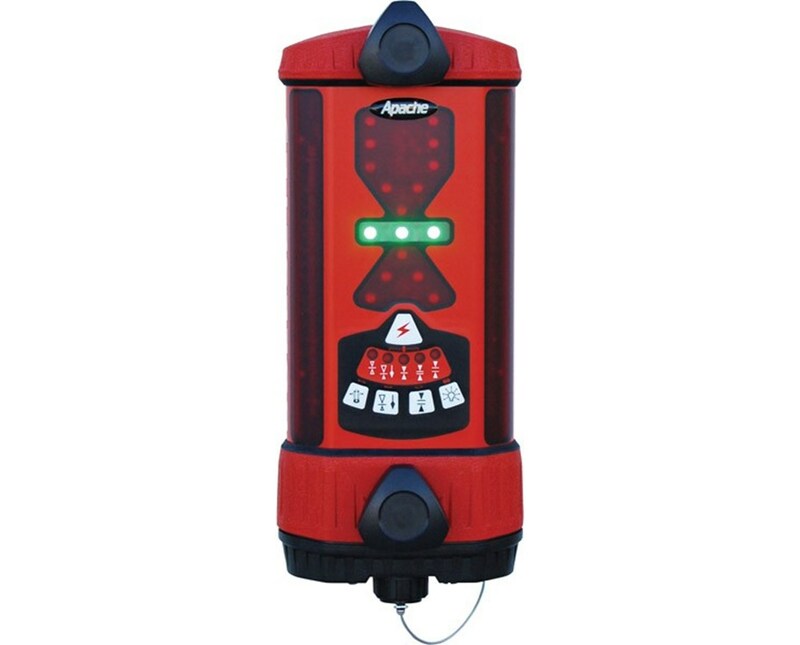 The Seco Apache Bullseye 5+ Machine Control Laser Receiver offers four models with varying batteries and colors. Please choose from the drop-down menu above.